The second brightest star in the constellation Canis Major, Mirzam lends its name to this pattern, which uses a 'star tweed' stitch pattern and a starry sky palette of colors. 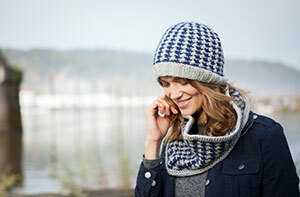 This bulky stitch combines with a bulky yarn to make a super cozy hat and cowl set. The slipped stitch pattern uses only one color per row, making it much easier to knit than it looks, while specially designed crown decreases blend invisibly into the stitch pattern. 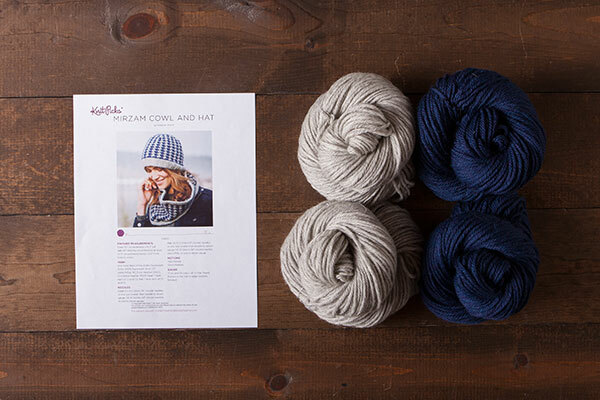 Knit this hat and cowl for the next time you are out winter stargazing and you'll stay toasty warm. Hat: 20" stretchy circumference at brim, 22.5" circumference body x 8.5" from brim to crown This is a pattern download only.